724 customers have given this product a 5-star rating. Of these, 695 customers have written no texts or given their feedback in another language. 436 customers have given this product a 4-star rating. Of these, 413 customers have written no texts or given their feedback in another language. 123 customers have given this product a 3-star rating. Of these, 119 customers have written no texts or given their feedback in another language. 26 customers have given this product a 2-star rating. It's what's in the specs. Perfect work, good volume without distortion. The tube inside is Chinese, but for microphones it's not the best but it does the job, in my case I did not buy it for working with microphones. I am going to tell you a secret, I bought to put on my Pedalboard Guitar, I changed the tube for a Tube Amp Doctor RT080 7025 WA sounds smooth top, full gain, medium fat, tight under my Stratocaster looks like it speaks gorgeous natural harmonicas, my ESP EC was charming. But taste is personal, for me it sounds great, and for the price of course why not test. 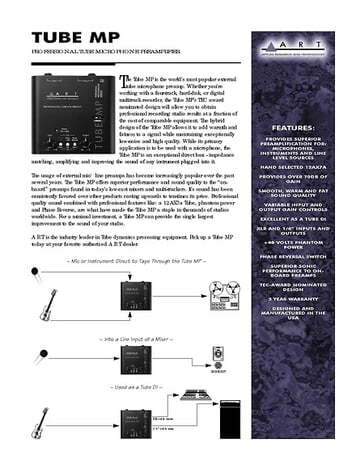 At the time I was buying this preamp (4 years ago), I was looking for simple preamp with a tube. Since then, I was using ART Tube MP in many different settings. I am going to explain few of my common setups. I own few passive pickup instruments. 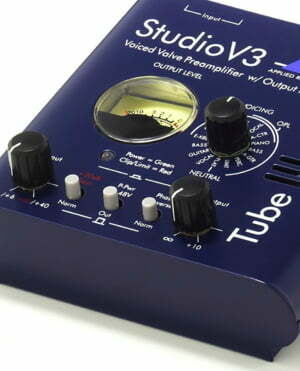 As they need to have a preamp anyway, using tube preamp gives them a bit warmer sound. In that setting, if you raise output gain with slightly lowering input gain, you get a very nice warm drive effect that I really like (if not used excessively). Some vocalists like a worm effect that you get if you use this product with their microphone before receiving the signal to your audio interface/mixing device. I know that it can be done digitally, but you cannot beat the real thing. As condenser microphones tend to sound dry, I like to use them in combination with ART Tube, as this gives a nice warmth to output sound. 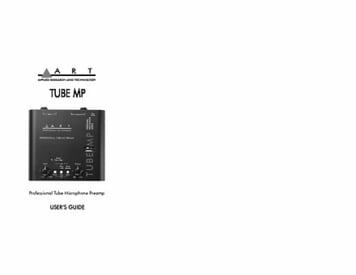 (ART Tube have phantom power option for input devices, so this is indeed possible). You can use ART Tube as an active DI-box. 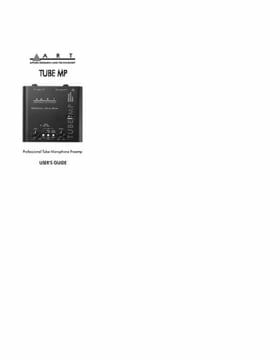 ART Tube is very simple to use. It does its job great and I never had any problems with operating it. I am still using my first amp (4 years) and it is not hard to replace it, after the tube dies. 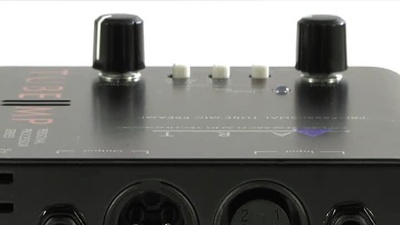 It can power phantom powered mics. It is also not expensive to afford. The device is not packed with features, and as with all tube devices, you need to always handle it with great care. 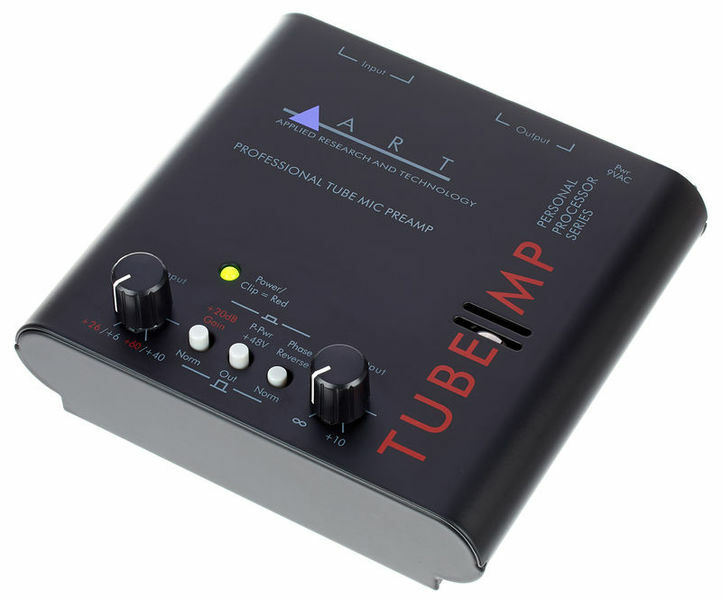 ART Tube is a simple device, and can be used in many situations. I am very satisfied with the product and would recommend it.  ID: 191529 © 1996–2019 Thomann GmbH Thomann loves you, because you rock!